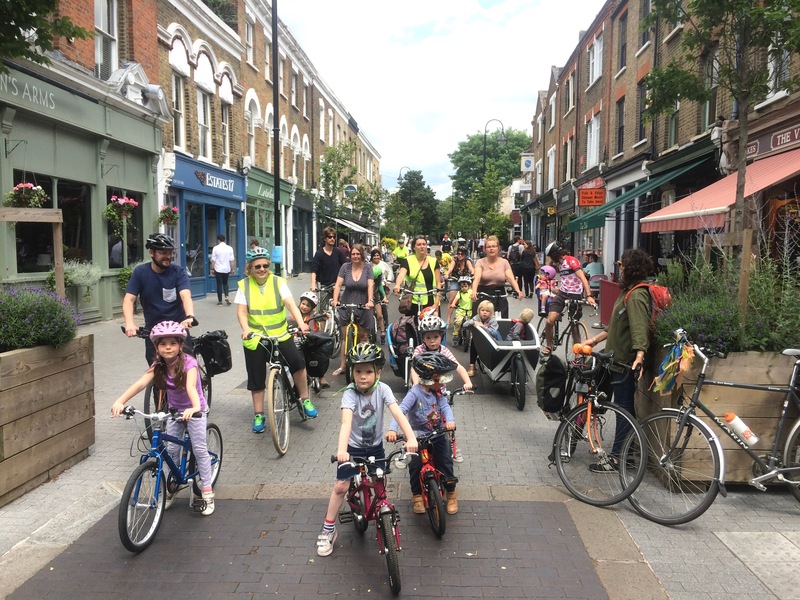 In Walthamstow Village, as part of the mini-Holland programme in September and October 2014 (for about 3 weeks), the London Borough of Waltham Forest trialled the conversion of a 2-way 'rat run' on Orford Road into a one way street and also trialled the closure of residential streets to through traffic – this was then made permanent. Information on the trial and some post-implementation traffic counts can be found here. The trial really helped residents to see what the traffic changes would be like in practice – and many were very pleased with reduced rat running. Preceding this trial there was a considerable amount of community engagement including a residents survey – but not quite bottom-up. Following the trial, revisions were made to the proposed permanent scheme and a consultation exercise was carried out. The ‘modal filters‘ introduced on residential streets have been achieved through large wooden bollards and placing tall heavy wooden planters in the middle of what was previously the carriageway. One example is shown towards the end of this summary write up from a community e-news site.